This is a tale of Three Bridges. 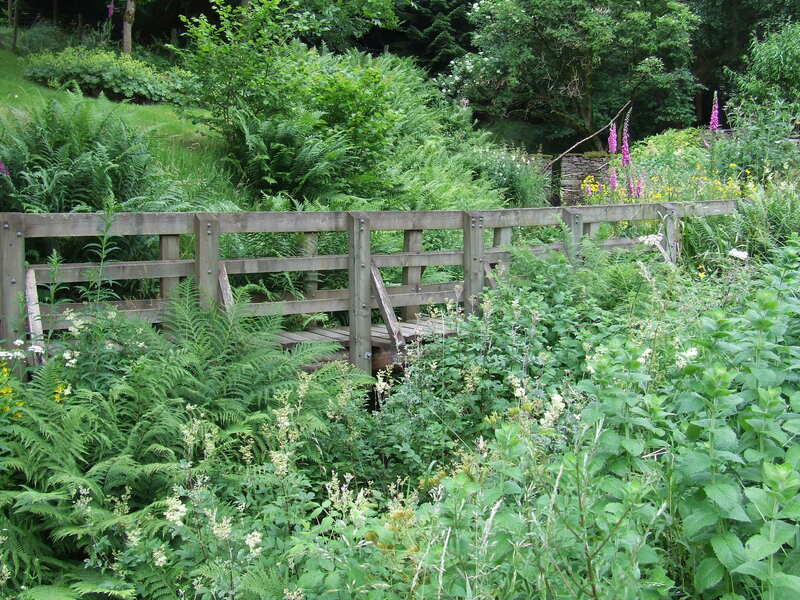 Not the railway station near Gatwick, but the three bridges over our stream. The first, in the main garden I made up out of two large tree trunks, that just happened to be lying about after we decided to do a bit of tidying up, and a ‘bridge kit’ superstructure. 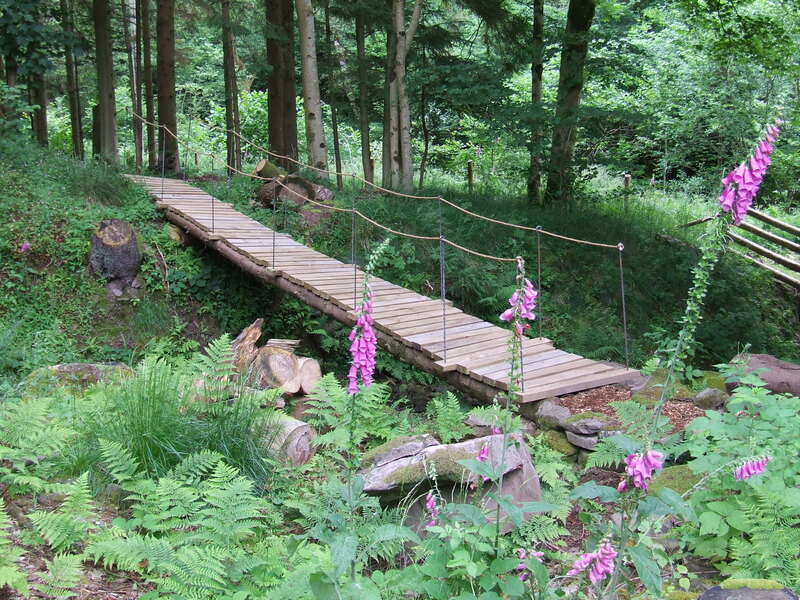 It made it’s media debut when Carol Klein walked across it in the BBC2 Open Gardens programme. It’s been in service now for probably more than ten years, and hopefully will last a lot more. The second is the most famous. 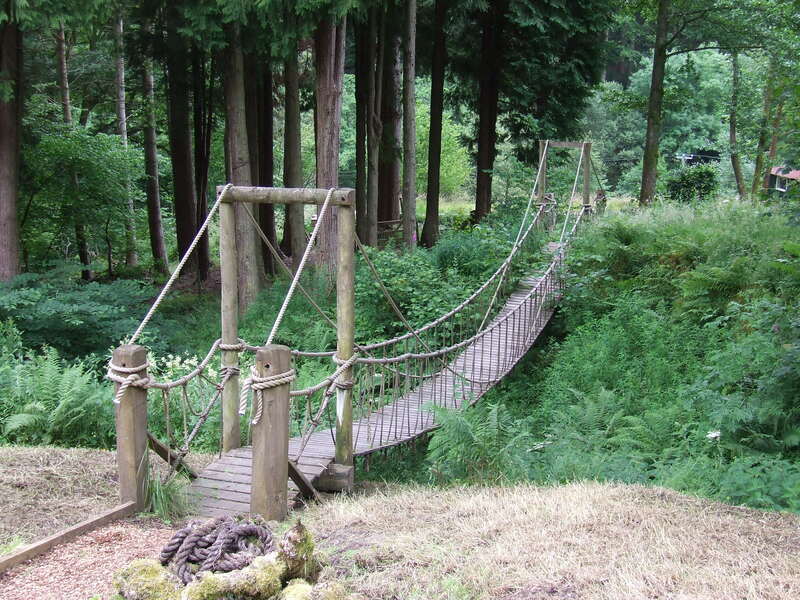 The Indiana Jones style rope bridge that has featured most recently in Saga Magazine and in the NGS Book. Built, to Sue’s design, by Daryl Rogers a local fencing contractor, it is the one which even gets passing traffic to stop and take photos. Mind your step and don’t look down! The latest, number 3, below the turbine house was completed this morning with the addition of some metal uprights and rope handrail, and also features a couple of long tree trunks as it’s base. The decking is our own timber from the trees taken down to build the pond walls. For the metal stakes, I twisted some loops on the forge for the rope handrail. So this one is more mine that the others and it’s also the quirkiest in terms of it’s lack of level. This one is probably the highest of the three above the stream. Rustic is a good description!